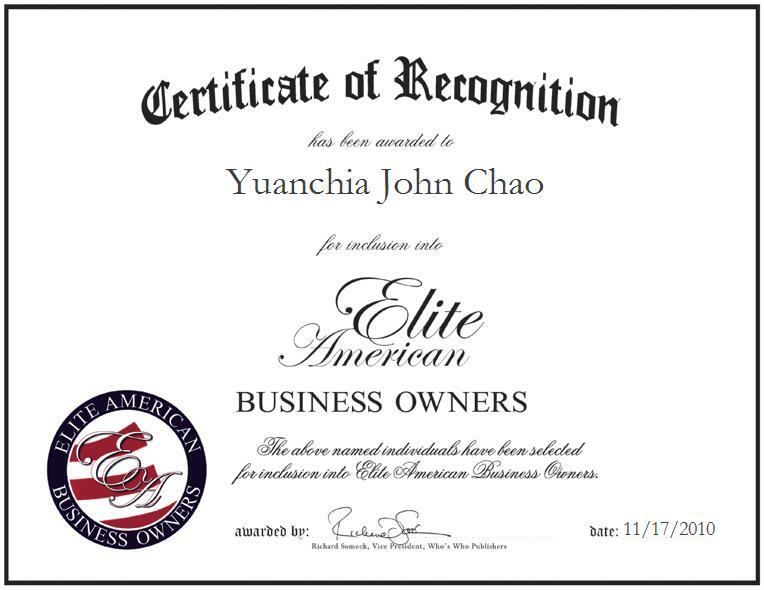 Silver Spring, Maryland | November 17, 2010 | Yuanchia John Chao, President and Chief Executive Officer of Massage Express, has been recognized by Elite American Business Owners for his dedication, achievements, and leadership in business operations management. An expert in Chinese acupressure and foot massage, Mr. Chao enjoys the opportunity to help others with their pain. With over 22 years experience in his field, Mr. Chao attributes his success to being able to provide quality service at low prices. His greatest achievement was building his practice in only four years and because of the success of his business was able to open another location. Mr. Chao earned a Bachelor of Business Administration from Carson-Newman College in 1973. He retains affiliations with the Chinese Herbology Association, the International Association of Massage Therapists, and the National Certification Commission for Acupuncture and Oriental Medicine. Massage Express offers an array of treatments to help you relax, relieve stress and attain happiness. Using traditional acupuncture, acupressure, foot massage and reflexology techniques, Massage Express can heal and relieve all tightness and aching in your muscles. For more information on Massage Express, please visit the company website at http://www.massageexpress.biz.